From growing up in a fisherman’s cottage to basing her university dissertation on the sailor uniform, Fashion Historian Amber Jane Butchart’s interest in fashion by the seaside has been a long-standing affair. Despite the influence nautical fashion has had on the catwalk and consequently our wardrobes, Butchart is the first to publish a book that tells the story of high fashion’s relationship with the high seas. Address contributor, Grace Wood talked to the Nautical Chic author about her ten-year research process and the inspirations behind the book. What initially attracted you to research nautical? I grew up in a fisherman’s cottage in a seaside town, so I have always had an interest in the whole idea of fashion by the sea. I did my Masters degree at the London College of Fashion and based my dissertation on the influence the sailor uniform had on Victorian women’s swimwear. Before writing Nautical Chic, I wrote a number of essays about the uniform collections on show at the National Maritime Museum in Greenwich, London. Looking back, nautical fashion has been a long running research interest of mine for about ten years. 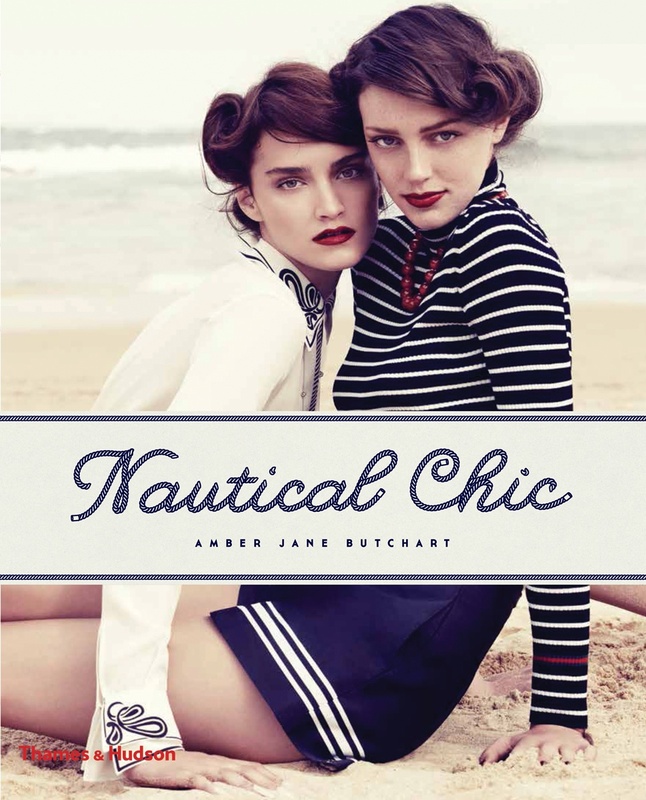 Nautical Chic is the first book to investigate the story behind fashion and the seas. Has creating the book always been your end vision? No it hasn’t been actually. I didn’t envision it whilst doing my Masters degree. Yet, as soon as I began talking to my publishers about the possibility of putting my findings into a book, I knew it was something that I wanted to achieve – especially as it had never been done before. What types of research did you have to undertake in order to create the book? I really had to conduct all different kinds of research. I chose to look at specific garments, so for example I began tracing the developments of the duffle coat and the peacoat, which involved interviewing people at various coat companies including Gloverall, the authentic British duffle coat company. I got a lot of information from fashion spreads and magazines such as Life, which is a good resource for researching general trends. For this, I went through a lot of back issues. Seeing as every chapter of the book covers a different profession, it meant that every chapter needed its own type of research. The Officer and Sailor chapters required a lot of uniform and naval history, whilst when it came to the Pirate I began looking into the Golden age of Piracy and restoration menswear. It also involved looking at the cultural history of the pirate and figures such as Captain Hook from Peter Pan and seeing how these key figures have informed our views on how Pirates dress. On top of that, there was catwalk research and research on specific designers who have created nautical collections, so I delved into the history of Chanel, Jean Paul Gaultier, Alexander McQueen and John Galliano. What inspired you to focus the chapters on the five characters of the Officer, Sailor, Fisherman, Sportsman and Pirate? It was a decision which I came to quite early on in the process of putting the book together. Initially, I was thinking of dividing the chapters according to garments but I soon discovered that didn’t really fit into comprehensible narrative. I soon realised that each of the different garments I wanted to talk about were all associated with a particular profession. So it made a lot more sense to divide the chapters into the five final characters. Navy blue and white stripes have a long-standing association with the sea – yet Nautical Chic explores many other ways in which the fashion world has taken inspiration from sea life in both clothing and accessories. Was this one of your aims when creating the book? Yes definitely. I think the striped top in particular does tend to be the element of nautical fashion which people pick up on the most, because it’s still such a style item. You continue to see so many style features focused specifically around that one garment and it still gets worn so regularly. Yet stripes weren’t even a starting point for me. My research started with the sailor collar, so back when I was doing my Masters degree that was the specific sartorial detail that I was looking at. Stripes are part of the story but they are just as much a part of the story as any other features in nautical fashion. In the book, you discuss how the likes of Chanel and Balenciaga have repurposed traditional fisherman’s clothing for fashionable audiences – a well recognised example being Balenciaga’s s/s 2012 oversized hat, inspired by a fishing sou’wester. Why do you think working people’s uniform continues to be romanticized in high fashion? I think workwear has always been appropriated into high fashion, in the same way peasant clothing is always romanticised around the world, in various different cultures. I think a lot of it is to do with the idea of authenticity. People think there is some kind of authenticity in workwear that becomes a very romanticised notion. In reality, a lot of the time workwear has been created out of practicality and designed in a certain way for a reason, because ultimately it has to help its wearer do a certain job. The fisherman’s uniform, in particular became romanticised from the nineteenth century onwards. You have this community doing a job that has been done for hundreds upon hundreds of years, living in very beautiful parts of the world and seeming to live a very idyllic, simple lifestyle. Of course, the reality is nothing like that at all, fishing is an incredibly treacherous job and can still be life threatening. It’s very easy for people who don’t have to do these kind of jobs to romanticise that type of lifestyle. 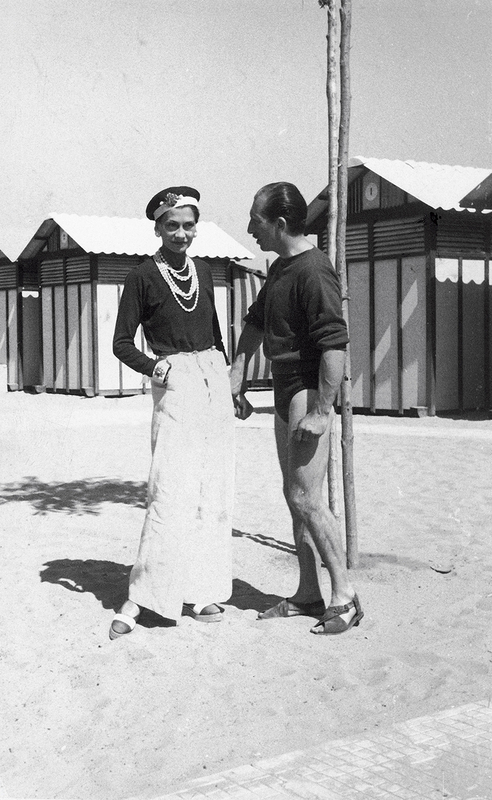 A lot of the catwalk images in the book showcase how nautical fashion has influenced aspects of womenswear design, yet you do also discuss elements of menswear and in particular how the traditional sailors uniform created the birth of a gay icon. What was your reason for incorporating this? 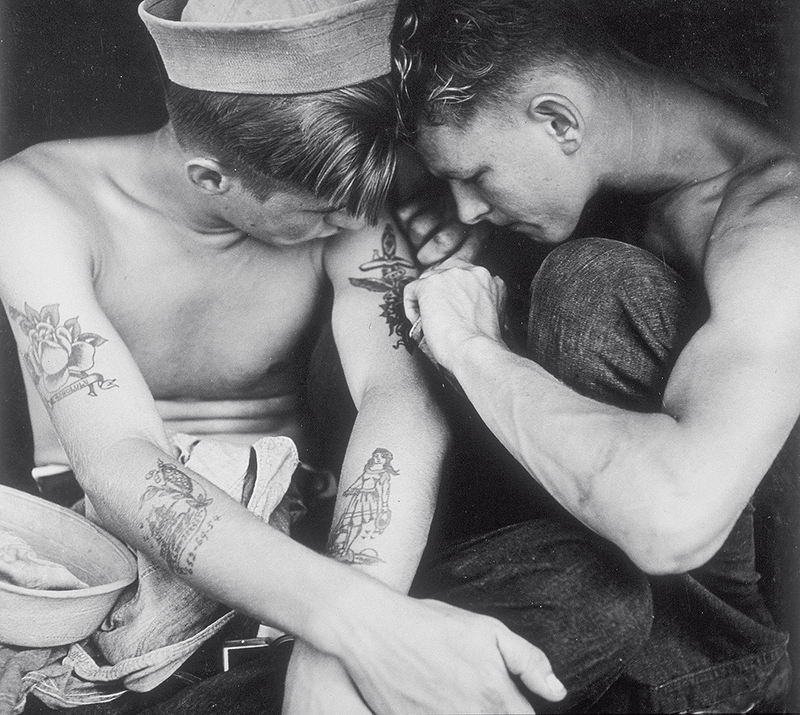 I don’t really think you can look at the cultural history of the sailor without recognising the fact that it has become a gay icon. 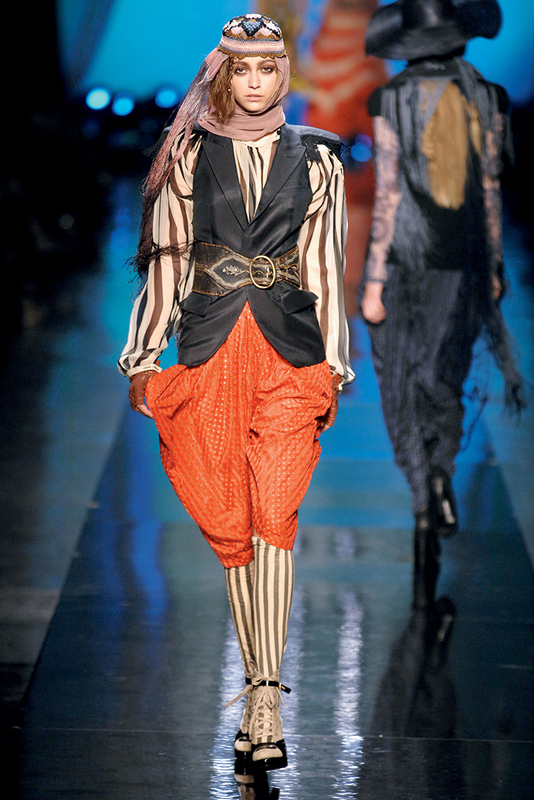 It’s prominent throughout Jean Paul Gaultier’s designs and to ignore that would be to ignore a big part of the story. Whilst many of the catwalk images do focus on womenswear, a lot of the other areas in the book are either unisex, for example the peacoat and duffle coat whilst in the Officer chapter there is a focus on menswear tailoring and Savile Row. A lot of the beginnings of chapters also open with the discussion of menswear as they all start with either uniform, workwear or sports clothing which originate from men’s dress. With maritime inspirations still visible in this spring’s catwalk shows and in high street stores today – do you believe nautical fashion will continue to stand the test of time? Yes, I do. I think there’s something very fresh and very spring-like about nautical styles. Pretty much every spring summer catwalk for at least the last fifteen years have shown influences of nautical trends and I don’t really see it going anywhere anytime soon. It spreads across such classic pieces, whether that be wide leg sailor trousers, the striped top or naval style tailoring such as the frock coat which can be seen in the current Savage Beauty Alexander McQueen exhibition for example. Nautical fashion is such a big part of our history that it’s not really any surprise that it has had a huge influence on the way that we dress and on garments which we still consider to be items of classic style. There are many ways to play with nautical influences, which I think designers find very appealing. They can take it either way and create a very pared down, naval look with a focus on peacoats or tailored trousers or they can take it in the opposite direction and do something very Gaultier or very Dolce & Gabbana.